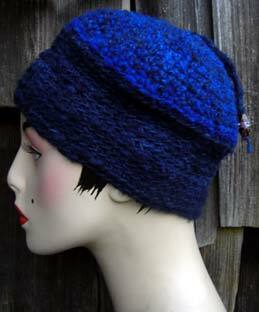 Skull caps are designed to fit close to the head and come down to, or slightly over the top of the ears, whereas round caps are a bit longer and cover the most or all of the ears. 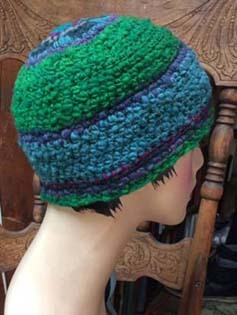 Skull caps should fit snugly, so be sure to send your head measurement if you are placing an order for a custom hat and are not sure what size you need. 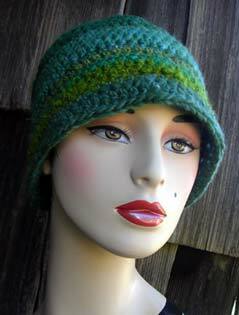 All hats are my hand made by me. 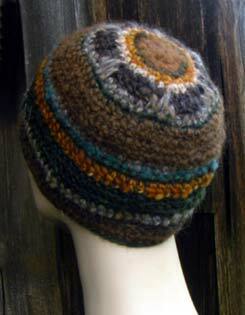 The yarns are all handspun and hand dyed, and each design is my own original creation. 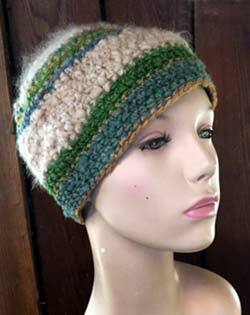 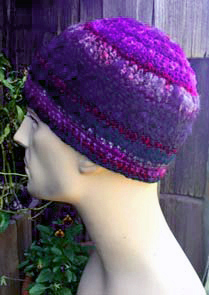 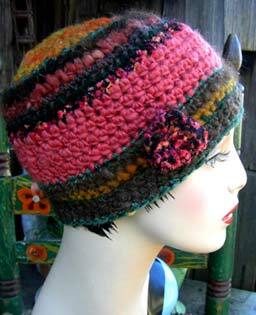 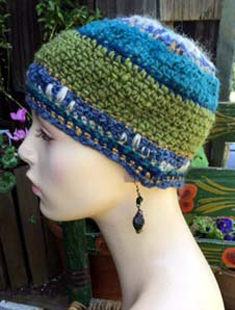 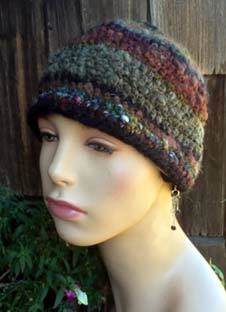 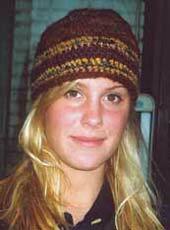 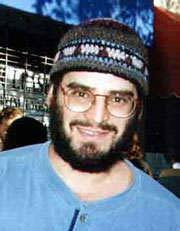 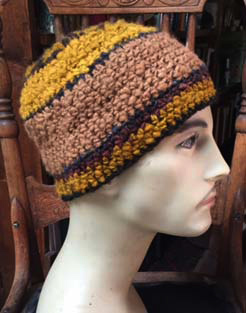 All of the hats on this page are crocheted. 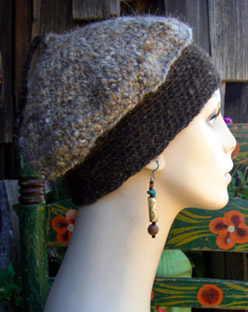 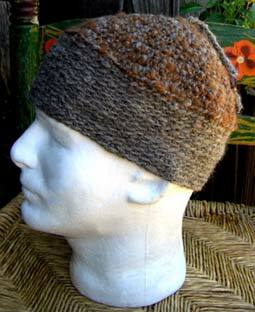 Hats are available in natural undyed shades of gray, beige, and brown, as well as in colors. 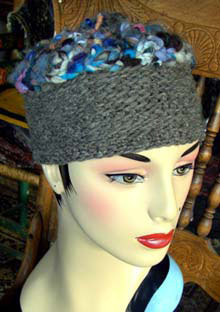 Trim is done in silk, mohair, alpaca, or llama wool. 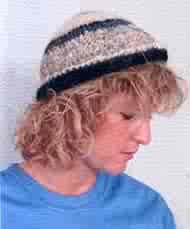 Prices are based on time plus materials and therefore vary depending on size, complexity of design and cost of materials. 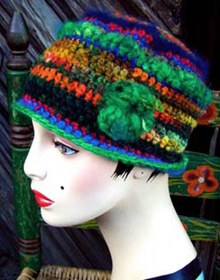 All hats are one-of-a-kind. 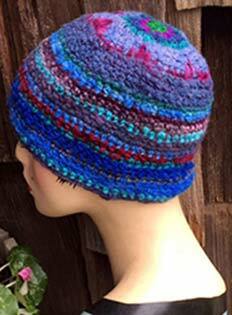 Click on images for an enlarged view and more detailed information. 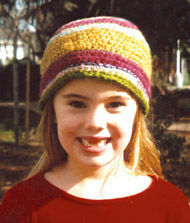 For instructions on ordering a custom hat please see the How to Order page.